Volume 3, Edition 35	 Trouble loading? View this email online. 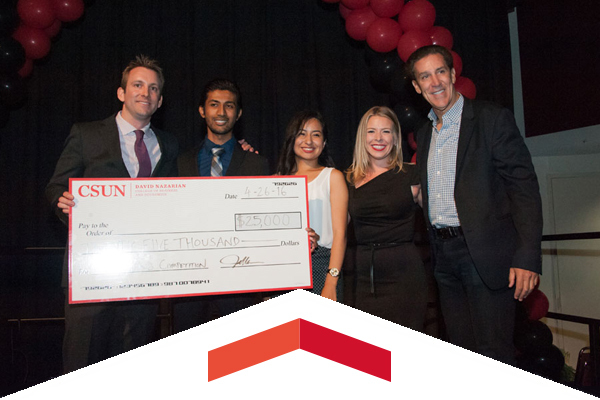 A business proposal for a new a way of delivering a healthy mix of probiotics and electrolytes while at the same time battling malnutrition and dehydration in children around the world took the top prize in the Bull Ring — CSUN’s version of Shark Tank. Bull Ring was introduced by the David Nazarian College of Business and Economics. One of the jewels in the crown of CSUN’s Department of Music is its opera program, having produced luminaries such as Carol Vaness and Michelle DeYoung. 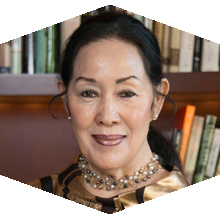 But the program’s first star — and one of the university’s first musical luminaries — was Shigemi Matsumoto ’68 (Music). CSUN physical therapy students who were recipients of scholarships from a partnership between the Los Angeles Dodgers Foundation and the Roy and Roxie Campanella Foundation gave a helping hand on April 20 to middle school students at Elysian Park in the shadow of Dodger Stadium. 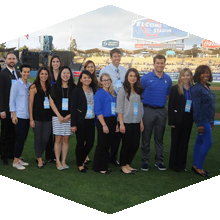 And then on April 27, the CSUN students were recognized on the field at Dodger Stadium in a pregame ceremony. VPAC welcomes a long-sought dream: Broadway in the heart of the Valley! This tale of Motown’s rhythm and blues magic is the whole nine yards: sparkling song and dance, sophisticated staging and show-stopping performances. Fri, May 6, 3 p.m.
Get to Matador Field early as AM 570 radio personality Petros Papadakis throws out the first pitch in a pregame ceremony featuring CSUN broadcaster and longtime Dodger announcer Ross Porter. Then watch the Matadors take on Big West rival Cal Poly in the first of a three-game weekend series. Make sure to wear red, as Red Rally prizes and promotions will be available at the game. The exhibition showcases the work of graduate students earning a master’s degree in either art or fine arts. The works featured include sculpture, painting, photography, digital video, ceramics and illustration. The CSUN Alumni Association and Matador Athletics invite you, your friends and family to meet and greet other loyal Matador supporters at Alumni Fan Day. Members of the 1996 CSUN baseball team will be in attendance to cheer on the next generation of Matadors as they take on Cal Poly. The Nursing Alumni Chapter will be celebrating Marty Highfield along with Nurses Week and the 10th anniversary of the ABSN program. Join the CSUN Alumni Association and LACI@CSUN on campus at the Breakthrough Breakfast Series event on May 10: Intellectual Property - Necessary Evil or Just Evil. The featured speaker is Robert Hamilton, co-founder and chief science officer of Neural Analytics. Before starting a four-show run at the Valley Performing Arts Center, Dreamgirls star Moya Angela took center stage by home plate before a Dodger game to sing a powerful rendition of the national anthem. CSUN hosted panelists including Porter Ranch neighborhood representatives, advocacy group members, politicians and environmentalists to discuss the clean-up efforts and long-term effects of the Porter Ranch gas leak.